The pull tight seal is a strong and durable indicative seal that has been designed for the transportation of high value cash-in-transit and goods. This is partly due to the metal locking mechanism, which secures the seal. The plastic Seals are available in either Polypropylene (PP) or Nylon. The characteristics of Nylon material make it stronger and with better pull strength than PP material. Pull tight seal are easy to use for all applications with small sealing facilities e.g. cassettes for ATM machines and money boxes on which the Fast Seals are widely utilised. 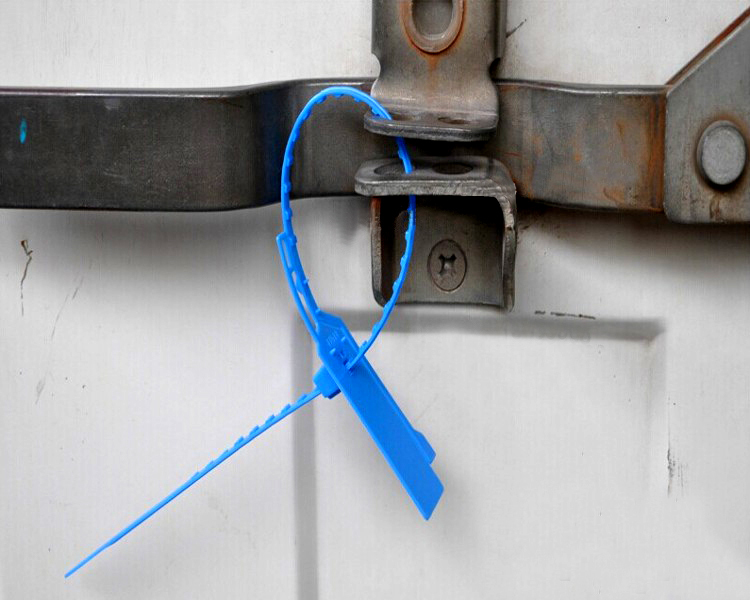 This Pull Tight Bag Seal is ideal for securing fire exit doors and fire extinguishers. Economical and simple seal with low breaking strength. Designed for use on fire extinguishers. Provides instant evidence of use. Facilitates maintenance checking and identification. Typical applications include fire exit doors, fire extinguishers and first aid boxes. To use simply thread the end of the seal through the closure and into the area marked "enter" at the end of the seal and pull tight. Removable only by bolt or cable cutters.